While researching family friendly activities in Curacao we found Ocean Encounters, a tour operator located next to the Curacao Sea Aquarium. They offer both shore and boat diving packages as well as family friendly excursions including snorkeling, fishing, and boating trips. 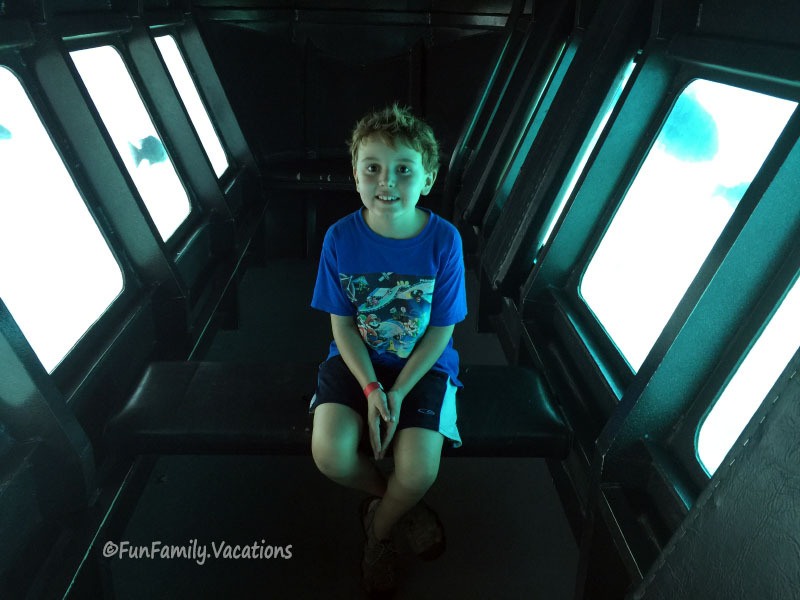 Ocean Encounters also operates the Animal Encounters Experience within the Sea Aquarium Park. Animal Encounters is a unique opportunity to Snorkel or Scuba Dive inside of the aquarium while observing and interacting with marine life (including sharks) in their natural habitat. 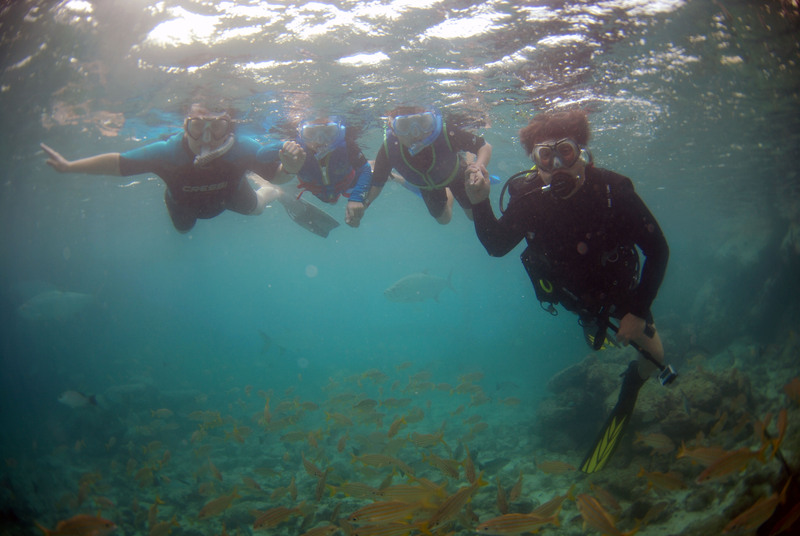 Because both our boys and myself snorkel, and Dad is a Scuba Diver, we jumped at the chance to try both the Snorkel Encounter and Scuba Encounter as a family. As parents, we were also excited about the opportunity for our children to watch their dad Scuba Dive. Further piquing their interest in marine life and future Scuba Diving. 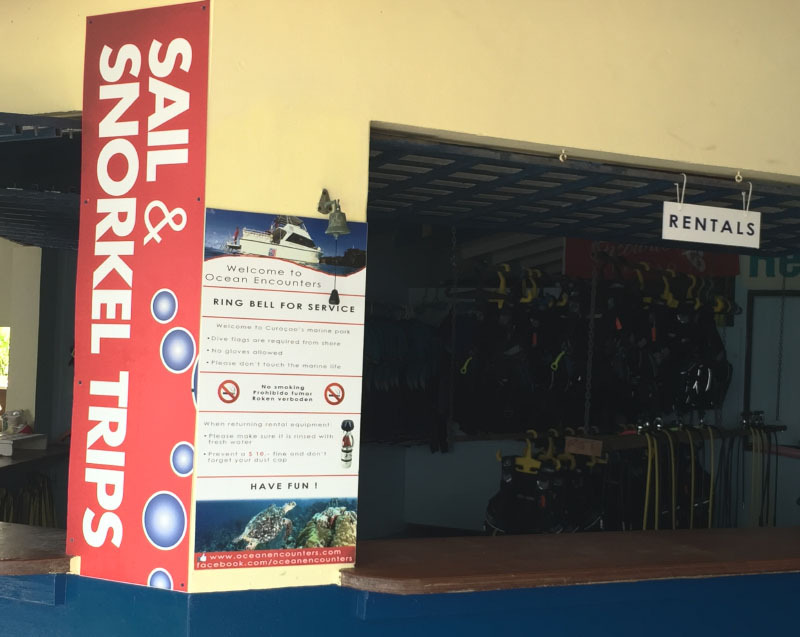 The cost of the Snorkel Encounter starts at $69 and the Scuba Encounter starts at $99. The cost of the Animal Encounters experience includes all of your equipment, wet suit (if needed), and admission into the Sea Aquarium Park. TIP: Make sure your leave yourself time either before or after your encounter to fully explore the Park. The Sea Aquarium Park has tons of activities including a Dolphin Show, Sea Lion Show, Nurse Shark petting/feeding, and a touch tank filled with various sea creatures for kids to touch and explore. The Animal Encounters experience lasts anywhere from 60-90 minutes, depending on how many people are in your group. They take up to 6 guests per group encounter. However, if you have a larger group, contact them and they may be able to provide extra guides with advanced notice. Anyone who signs up for the Scuba Encounter must present a current PADI or other Scuba certification. Experience is not necessary for the Snorkel Encounter, however some previous snorkeling is suggested. Family members or friends who do not wish to scuba or snorkel can relax on their patio or watch from the “viewing boat.” The viewing boat has special windows at the bottom, allowing you to see your loved ones as they snorkel/dive and interact with the animals. Kids must be at least 8 years of age to feed the fish. Younger children may be allowed to snorkel and watch from the surface, if they can swim and use snorkel equipment. Our 6 year old has been snorkeling for about 2 years and was able to demonstrate that he could swim and use his snorkel well enough to maneuver around the aquarium with us. While he wasn’t able to feed the fish, he had a blast observing all of the marine life and watching his Dad feed the Sting Rays Below him. Safety is a number one priority and kids should be in possession of a swimming diploma and/or demonstrate their ability to swim and be accompanied by a parent or guardian. Our Animal Encounter began with an explanation of the rules and guidelines to follow as well as a lesson about the animals we would encounter while exploring the aquarium. We hopped in the Aquarium and immediately began to interact with some of the fish and marine life around us. The entire experience from beginning to end was AMAZING!! Both of our kids got to see fish and other marine life up closer than they have ever experienced before. Whether you are visiting Curacao for a week, or a day on a cruise ship, we highly recommend Animal Encounters at the Sea Aquarium Park. This was truly one of the best family vacation experiences we have had to date. All equipment is included in the price (or you can bring your own). Admission into the Sea Aquarium Park is included in the price. Wear the provided wet suit. The water can get chilly after a while. The Stingrays don’t have stingers. If you don’t have an underwater camera, no problem! Your guide will bring a camera and you can purchase a flash drive filled with all of the pictures. As with any scuba trip, it is customary to tip your guide if you had an exceptionally wonderful dive. Along with the Animal Encounter at the Sea Aquarium, Ocean Encounters offers many other activities suitable for families. 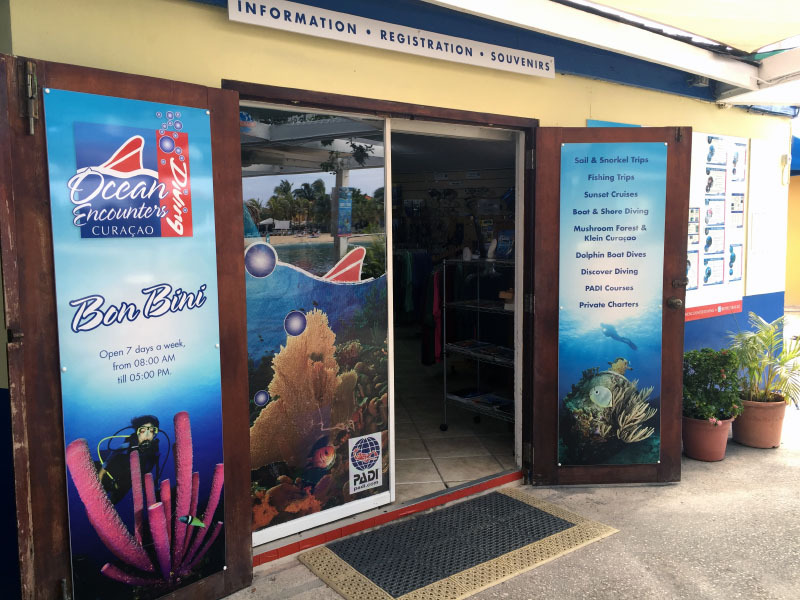 They offer a “bubble makers” scuba class for kids ages 8-10, a Dolphin Dive (for divers and non divers) in the lagoon, as well as fishing and snorkeling excursions. 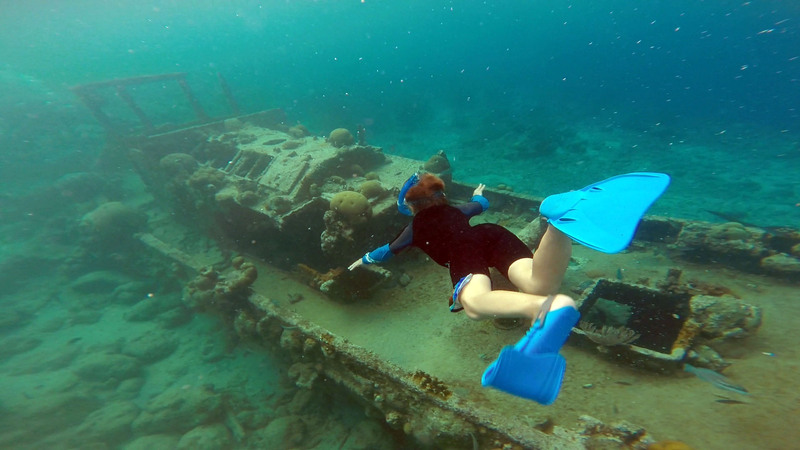 We suggest their afternoon snorkel trip to “The Tugboat,” a really cool sunken tug boat that is easily viewed from the surface. A wonderful location for both divers and snorkelers! Disclaimer: Tickets to The Animal Encounter were provided by Ocean Encounters. All opinions contained within this post are our own. 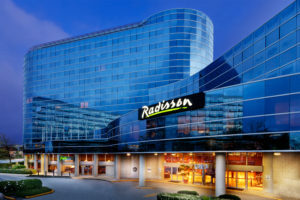 Yes, it is connected with the ocean. Water flows freely from the ocean throughout all of the larger aquarium areas. From what I understand they have one of the best Dolphin Research and Therapy Training areas in the world. They do a lot of Marine Conservation and research there. That’s really fantastic! I’m going to share this around! It looks like the kids had a BLAST! I love the video content, great idea! What a great way to engage the kids with sea-life. What a fun experience for the kids!! I can only imagine what a blast they had!! Oh, I know my daughter will love this as would I. Nice one. What a wonderful experience, never snorkeled, would love to though. It looks like a great activity with the whole family. We took our kids snorkling a few times when they were younger and now both of our girls are into scuba diving. It does make an impression on them! I love all kinds of animal encounters, and have always wanted to do the bottomless boat. Very cool activity for kids of all ages!